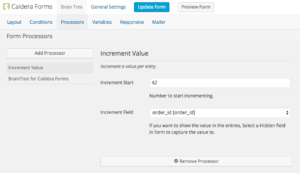 The incremental value processor is a default processor included in Caldera Forms. When added to a form, it can be used to set the value of a variable or hidden field with a number. The value will increase by one each time the form is submitted. This processor can be used for order and invoice IDs. 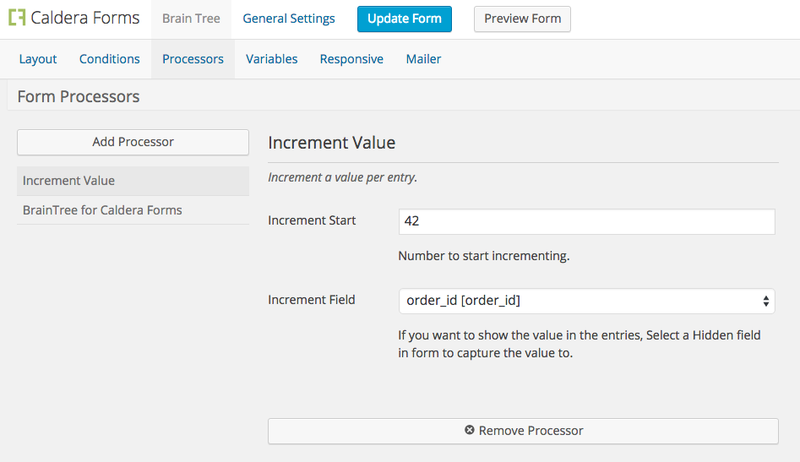 When collecting invoice payments, creating a WordPress registration form or an event bookings systems the incremental processor can be used to insert a unique value into the entry data.